After a flurry of housing developments in Leeds, people can now enjoy living at a desirable location on the River Aire while being less than a mile away from the city centre. A top spot for joggers and cyclists, the River Aire stretches over 71 miles; from Malham right down to the remote town of Airmyn. To visit: Bingley Music Live is an annual festival that runs over the first weekend in September and has quickly become a popular pop and indie festival which has in the past featured such artists as Super Furry Animals, Idlewild, Ella Eyre and James were among headliners. 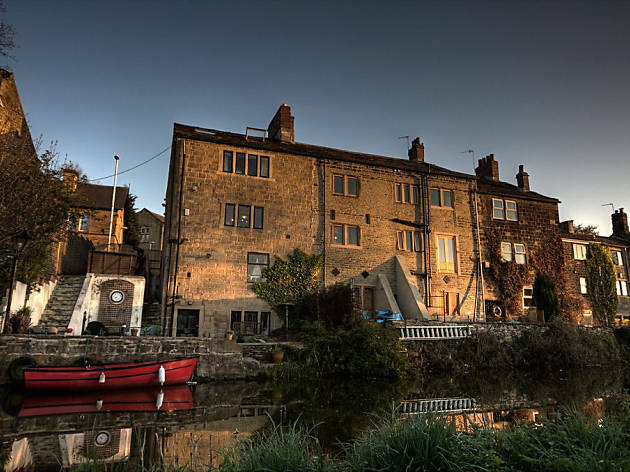 To eat: Walking along the canal can be hungry work, and Bingley’s Foundry Hill Bar and Lounge is the perfect place to kick back and relax for a few hours. Located in the town, it has gorgeous views of the city’s architecture and it is famous among residents for the quality of both its food and service. To visit: Sat right on the Leeds-Liverpool Canal, Salts Mill is a must see in the quaint Victorian model village near Bradford. The UNESCO World Heritage Site contains an art gallery, shopping and various restaurants which can easily see you while away a whole day. To eat: Saltaire Canteen is one of the handful of cafes which use food waste and a pay as you feel policy to reduce food going to landfill and help eliminate poverty via social action. It offers a different selection of meals each day, and is part of a growing trend towards using supermarket ‘waste’ to create nutritious meals. To visit: If you’re a nature lover, Rodley is the place for you. A very interesting visit would be the Rodley Nature Reserve. Designed purely to bring a touch of ‘wetland’ back to Leeds and hosts an array of wildfowl and waders. Take your kids out to get some fresh air and learn about nature, or even organise group educational visits if there are several of you. 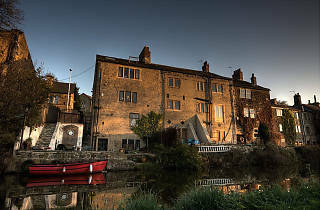 To eat: The Rodley Barge is the best place to stop for a bite and a beer right on the waterfront. Overlooking the canal, the traditional, family run pub has outside seating and a beer garden offering a picturesque, relaxing experience. To visit: The Leeds City Centre canal has several stop offs, with one being the popular Leeds Dock (formerly New Dock and Clarence Dock). Here you’ll find the Royal Armouries, a must see partner museum of the Museum of London displaying over 8,500 objects through its six themed galleries. It is free entry for children and adults alike, making it a fun and affordable day out. To eat: Granary Wharf sits on the outskirts of Leeds city centre, just under the train station. Once an empty industrial space, this blank canvas has been renovated into one of the most popular places to go for after-work drinks and nibbles. If you're looking for some drinks by the canal, visit gastropub The Pour House which looks out onto the locks. With exposed brick and high beam ceilings, the waterside pub has a wide selection of beers and real ale. If you are feeling peckish, under the arches within Granary Wharf sits Livin’ Italy, a cosy rustic Italian bar and deli with a candle lit restaurant upstairs. Tip: if you are going for a bite to eat the pizzas are to die for and you can even choose your own toppings, try the Tuscan sausage, mascarpone and black olives. Kay is an award-winning communications and events manager who's worked across some of the region's biggest arts and cultural events. She blogs and hosts events as Cheery Little Thing. Follow her on Twitter at @KayLinaBrown.